There’s an old adage that says “you need to spend money to make money” but it never goes into detail about how much money must be spent in order to see a sizable return. We have seen over the years that those who tend to see the biggest returns when investing in the stock market, often have the most capital in the first place. Most of us look at the purchasing and sales of stocks for long term gains either contributing to our retirement funds or to our long term savings plans. Here are a few easy steps towards investing in your retirement. Sometime the best way to plan for your retirement is by taking it one day at a time. It is easy to get overwhelmed when staring down such a monumental goal like saving for retirement. 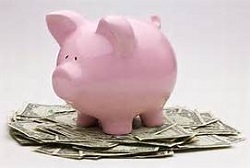 Sometimes the easiest way to save money for retirement is to return to the basics, like piggy banking your spare change or aiming for a daily amount of money to hide in your piggy bank. Aiming for as little as a dollar a day or five dollars a day, every day for a year will help to train yourself on how to put money aside towards your long term goals. Starting small in this fashion will help you understand the very basics of saving and allocating that funding towards your retirement savings. You will learn self discipline and control over your day to day finances as well as build up short and long term self confidence. When it comes to building up your retirement funds one of the best ways to multiply your initial funds is to take them and invest them in the stack market. While invest doesn’t guarantee that your funds will grow, there are ways to invest conservatively so that you can diversify your stock portfolio and gain the most amount of profit. When it comes to investing, not everyone can be as comfortable picking out what stocks will rise in value and others that will flop. If you’re unsure about what companies to look into, why not look at your hobbies and interests and see if there is something within those bounds that can help you understand the best ways to invest for your long term financial stability. Sometimes those who are looking to invest in the growth of their investments in order to grow retirement funds are unseasoned or wary novice investors. Learning how to invest is your best bet for success. If you are a car enthusiast, one might like to look into purchasing General Motors stock or whatever stocks are up for sale with industry projected growth over the next couple of years. Whatever interests you, do the research of how the industry or hobbies you enjoy work and are doing. Learning how to invest in your comfort zone in the beginning, will then train you how to research and invest over the curse of your working career so that you can solidify your retirement funding. Now that you have an basic understanding of how to save money and what you are comfortable in investing in, you can create a plan of action. There is no streamlined way to success but by creating a plan in which you can implement your evolving ideas for saving and investing in your retirement. Having a plan or a guideline can help you to realize your goals rather than sabotage them. 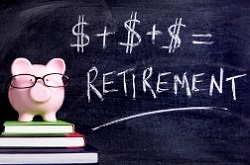 Once you’ve come up with a way to help to grow your retirement funds you can put it to work. Having a plan of action is a step in the right direction but is worthless unless you allow yourself to practice it. Once everything is set learn not to touch the funding that is growing. The race towards retirement is not unlike any other race you have travelled in your lifetime. Especially when it comes to investing in your retirement, the slow and steady mentality is one of the best practiced adages. After a short time you will see your retirement funding grow or if the interest you are earning is going into a savings account, understand that money shouldn’t be touched. This is where the first step mentioned above about learning to save money and learn self control when it comes to your finding will come into play. Rather than fall into old habits where extra funding gets spent, you will see that these steps are most helpful when they are layered. Following them in order will only strengthen your ability to save and grow your funding for retirement. It is easy to invest your extra money in stocks that look attractive because they are currently trading high, but without the background knowledge and years of practice, success is shaky at best.